Do you need a belt for use with your new buckle? We also supply high quality affordable leather belts in various sizes. when purchased with any buckle. 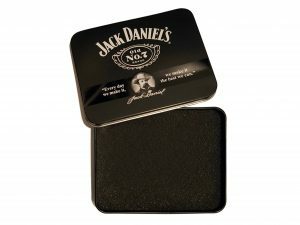 This Jack Daniel’s collector’s tin is the perfect size to house your new buckle. It’s an especially nice finishing touch if you plan to give the buckle as a gift. This highly collectable buckle display tin is an officially licensed product. 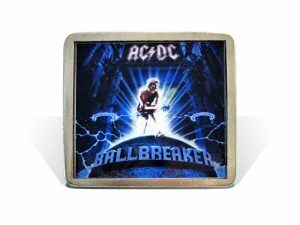 Officially licensed AC/DC ‘Ballbreaker’ belt buckle, made from solid zinc and pewter. This belt buckle features the artwork from the classic AC/DC ‘Ballbreaker’ LP set into scratch resistant enamel. Limited stock and regrettably, due to the weight, we can only ship this item to the UK. Our range of belts are perfect for use with your new belt buckle. 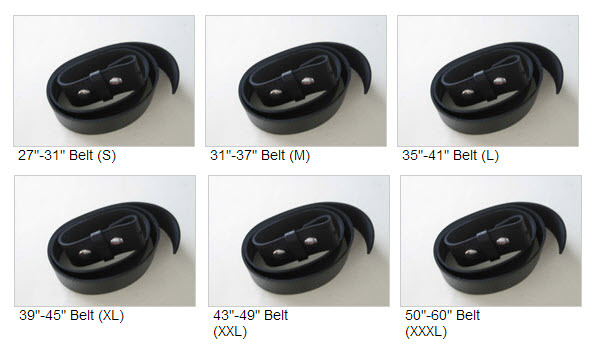 Belts come in sizes from S through to XXXL and prices start from just £12.55. A normal belt which has a clasp attached won’t allow our buckles to fit properly but the belts here are compatible with our whole buckle range so make sure you add one to your cart when you purchase a buckle!